Yankees left fielder Billy McKinney will be out "at least a few weeks" with a left AC joint shoulder sprain he suffered after slamming into the outfield wall in the first inning Saturday against the Blue Jays. 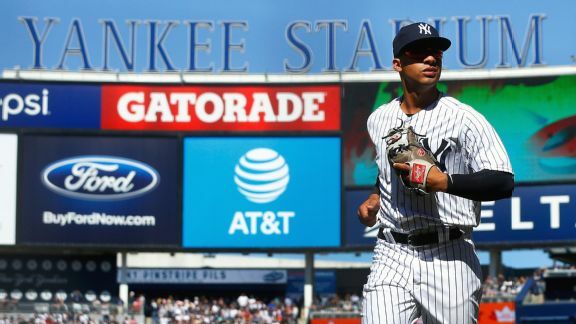 The Yankees placed center fielder Aaron Hicks on the 10-day DL on Friday, then lost Billy McKinney to a shoulder strain Saturday. 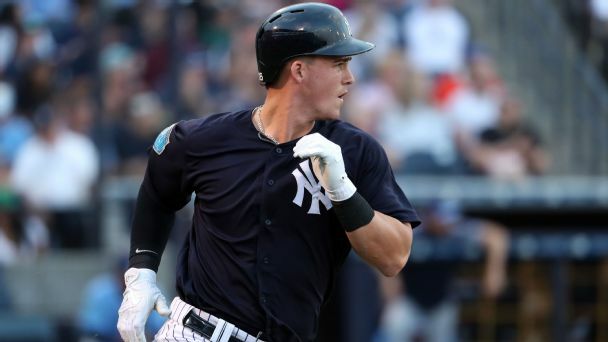 How will the Yankees replace Greg Bird at first base? 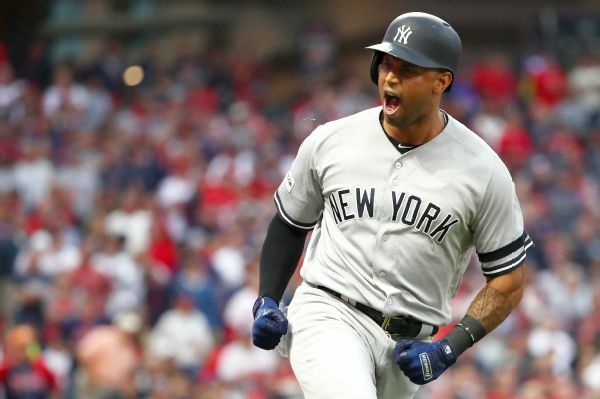 Now that the Yankees know they'll be without their starting first baseman for six to eight weeks, here's a look at their possible solutions. 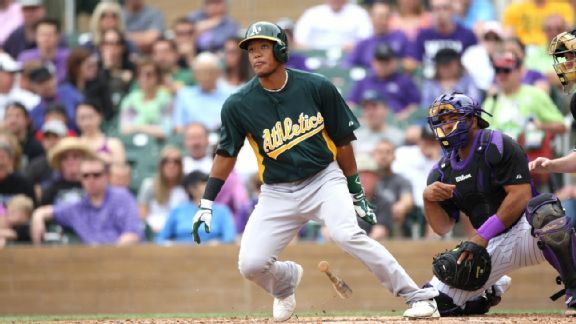 Keith Law lays out his top-10 prospects for the Oakland A's. CHICAGO -- Maybe the link to everything happening with the Chicago Cubs these days is right-handed pitcher Jason Hammel.Hammel, 32, officially signed-on with the team for at least two more years Friday and he has ties to the most bold and current moves the team has made recently. CHICAGO  Triple-A Iowa starter Dan Straily will make his Chicago Cubs debut Saturday when the Cubs take on the New York Mets, the team announced Thursday afternoon. 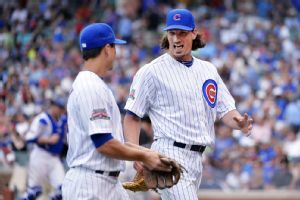 Professionally speaking, Jeff Samardzija grew up with the Cubs. Chicago selected the 6-foot-5 pitcher in the fifth round of the 2006 amateur draft. Samardzija made his big league debut in 2008, made 83 starts over the next six seasons and made plenty of friends in the locker room along the way. 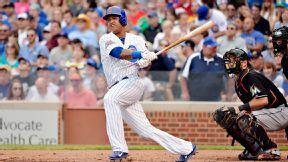 Christopher Crawford takes a closer look at the long-term fantasy potential of new Cubs prospects Addison Russell and Billy McKinney. The pitcher goes to a winner in Oakland, while Epstein & Co. score another coup.